Math games are one of my favorite ways to teach. Games are an especially good way to practice skills so that students can build fluency in a fun way. Playing a math game is much more fun and motivating than doing a worksheet, but they both provide a lot of the same benefits to students. 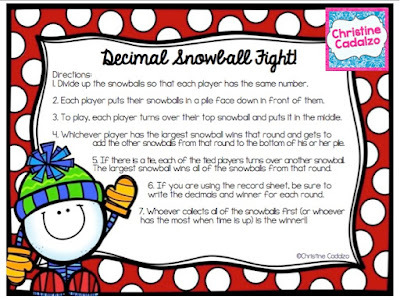 Use this free winter math game for practicing comparing decimals. It has a winter snowball fight theme, so it can be used for the holidays, and students can keep playing all winter long. 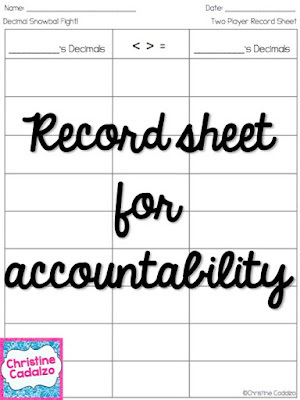 Every good math game has some kind of record sheet- to track student learning, for teachers to use as an assessment, and as an accountability check for students. 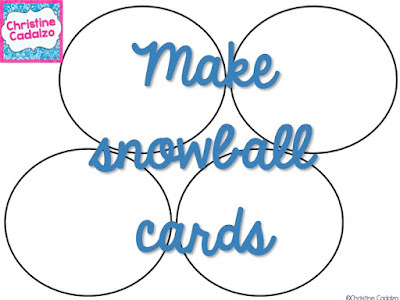 The freebie comes with blank snowball cards, so you can differentiate and make your own.